Anna Karenina has been on my bucket list of books forever. 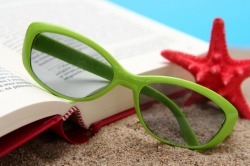 At almost 900 pages of classic Russian literature, featuring characters with complicated names that come with coordinating nicknames, it’s not a book you mindlessly pick up to take to the beach. First of all, it would take up your whole dang carry on. And second of all, Maggie Gyllenhaal performs—not reads, performs—an audio version of it. So, set some time aside, 36 hours if you are going to hang with Maggie, and get ready for the long haul. 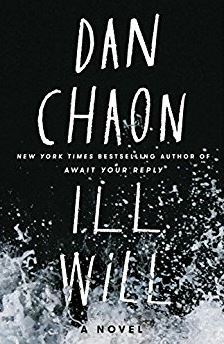 And when you’re ready, check out the longest book review I have ever written about the longest book I have ever read. Warning: There are spoilers ahead, but I give you ample warning. I can’t read almost a thousand pages (or listen for almost the length of a work week) without getting really into the specifics. But first, let’s cover some basics. Prince Stepan Arkadyevitch Oblonsky (aka Stiva) (aka Oblonsky). He’s married to Princess Darya Alexandrovna Oblonskaya (aka Dolly). Wealthy. Five kids. He’s a cheater cheater pumpkin eater. Then there’s Stiva’s pal Konstantin Dmitrievitch Levin (aka Kostya) (aka Levin) a poor farmer who lives out in the country and is in love with Kitty. Kitty (aka Princess Ekaterina Alexandrovna Shchebatskaya) is Dolly’s sister. She’s not in love with Levin, and in fact, she refuses Levin’s marriage proposal because she’s in love with Vronsky. #Drama! Vronsky is a Count. Of course he is. And he’s hot, single, has money and is also known as Alexei Kirillovich Vronsky. Oh and he’s hopping in the sack with our leading lady, Anna Karenina. Anna (aka Anna Arkadyevna Karenina) is gorgeous young wife of old and boring Karenin. She’s also the mother to Sergei Alexeyitch Karenin, or, Seryozha. Karenin (aka Alexei Alexandrovich Karenin) is a Senior Statemen that is super concerned with his reputation and not at all happy with Anna. There’s other characters of course, but these are the main ones and just referencing their names and nicknames probably accounts for 100 of Tolstoy’s 900 pages. 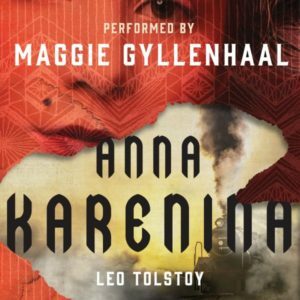 Tolstoy has written a fascinating and epic novel of people falling in and out of love, making good and bad choices, and suffering the consequences and benefits that come from love—despite the fact that I am not sure I would call Anna Karenina a love story. It’s more a social commentary on a young woman’s short-sighted choice to go out on her marriage—her unhappy and loveless marriage to a man twenty years her senior—that results in Karenin issuing Anna an ultimatum. She can either leave him—and their young son forever—in favor of divorce and Count Vronsky or she can keep her son and stay married, but cut off the Count. In a decision many would disagree with, Anna chooses the Count. If you’re still with me, that means she chose to leave her son. It’s a rather shocking choice. Rarely do we look favorably upon women that choose men over their child. And, you have to remember, this was written in 1877. It was a time when women were often forced to marry young, religion prevented divorce, and the laws were not in favor of women. And of course her relationship with Vronsky develops it’s own challenges. They have a child. A child he can’t claim as his own, because, as it turns out, Karenin won’t divorce her. Anna grows jealous of Vronsky as cheaters often do—worrying that their partners are doing to them what they initially did to their spouses. Funny how cheaters become an untrusting lot. Is it really a spoiler if the book was written over one hundred years ago? Well, I can’t share my thoughts without spilling my guts. Anna kind of loses her mind. She spirals and and sees no way out of her situation. Karenin won’t divorce her. Vronsky can’t assure her enough that his intentions are true. She misses her son with Karenin and dislikes her daughter with Vronsky. She’s miserable and she wants others to suffer the way she perceives she has. In her misery, she recalls being at a train station years earlier, with Vronsky, when a man falls under the tracks. It’s this shocking memory that gives birth to an idea. Yep! She throws herself under a train! A FREAKING TRAIN! And, yet, if ever there were a person’s demise so breathtaking, I think this was it. It was stunning, in a freak-show-can’t-look-away kind of way and I backed up the audio recording multiple times to hear sweet Maggie’s voice articulate it again and again. And then, the love story that did work out—Kitty and Levin! If you recall, Kitty initially spurned Levin in favor of Vronsky. Unfortunately, Vronsky only had eyes for Anna and this left Kitty humiliated and deathly ill. Levin, still heartbroken and pining, was secretly glad to learn Kitty was single and perhaps a little deserving of the illness. Knowing Levin and Kitty should be together, the Oblonskys orchestrate a social gathering that will facilitate a meet up. Who new such a meet up would turn into a total meetcute? I will spare this spoiler; but know it involves a cryptic love note the two write each other during the party that sets the record straight and results Levin asking for her hand marriage. This scene I could also play again and again. I can’t even with the cuteness. That Tolstoy knows how to court! The wedding day is hilarious, their relationship is full of professional bickering and a child is born. The overly contemplative and super philosophical Levin questions if he’s truly happy and learns the answer during an afternoon storm that puts his young bride and son in harm’s way. Levin and Kitty are total #CoupleGoals. So super dramatical, right? Right. And I loved it. I loved almost every minute of it. There were some agricultural politics and Russian business mumbo jumbo that was a little snoozeworthy. But the voyeuristic view into these characters lives and choices was wholly satisfying. So much so, I am pretty sure I want to read it again. And I don’t read anything again. Certainly not 900 pages of something, Maggie or not. 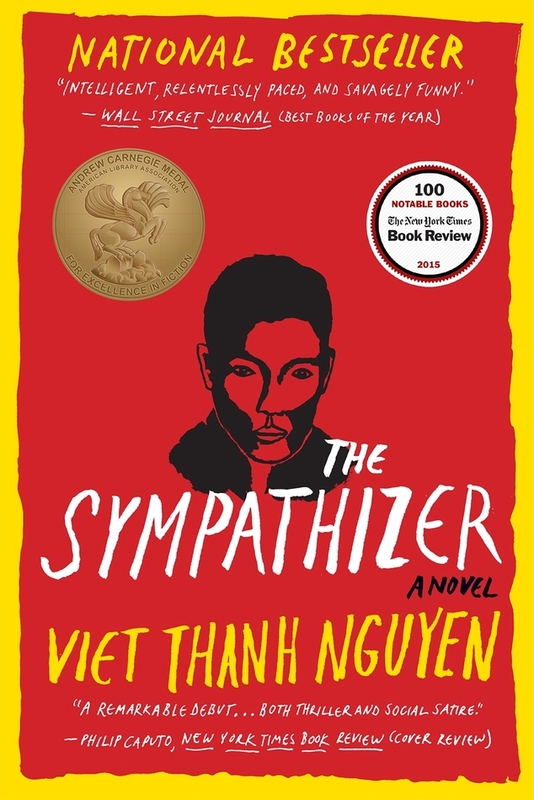 I’m not a typical fan of Pulitzer winners… but I went ahead and read The Sympathizer and reviewed it for my side gig, Snotty Literati. Here’s what we thought. Viktor Frankl, a PhD-level Neurologist and Psychiatrist, spent three years in Nazi concentration camps during World War II. He survived that harrowing experience, not by any force of luck, but rather through knowing he had a purpose in this life. That purpose bred hope, and that hope sustained him until he could safely emerge on the other side of hate and continue living a life of meaning that he chronicles in his memoir, Man’s Search for Meaning. I am super late to this book and decided now—in a time when so many of us are hanging onto hope—was as good a time as any to read this book. My friend, and fellow Book Babe Jill, joined me in reading it and we decided an actual conversation was absolutely necessary. I was all, okay, twist my arm… and here we are. Lara: So, I was trying to figure out how I have missed this book for so long and I came to an embarrassing realization. I kept thinking it was over 1,000 pages (do I dare admit I was confusing him with Victor Hugo and Les Misérables?) and it also sounded super philosophical and scholarly (not that there’s nothing wrong with that). Man’s Search for Meaning covers a miserable period in world history and it is a bit philosophical. But it’s way more accessible and impactful than I ever expected. Ever. And, it’s under 200 pages! What did you think? 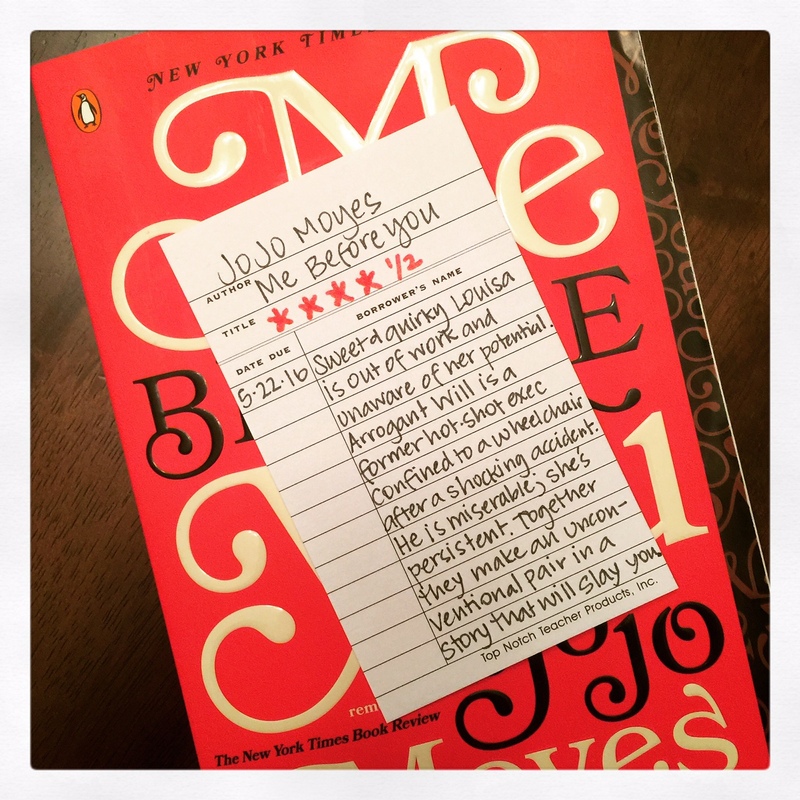 Can you believe you hadn’t read it until now? Jill: I will see your embarrassing realization and raise you by one unit of mortification. I hadn’t even heard of the book before you told me about it! That said, how did I miss it? It’s superb! The Holocaust is indeed one of the darkest, saddest periods in all human history. 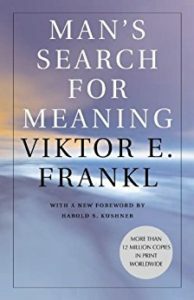 While Frankl does lean towards the philosophical and his work is grounded in psychiatry and logotherapy (psst…go off and research this on your own…fascinating! ), he humanizes what could be very dry theories through the telling of his own concentration camp stories. It’s short, accessible, and deeply impactful for these troubled times we now find ourselves in. This hit me. Hard. And I totally agree. Jill: My first life and business mentor taught me the phrase, “Put the what before the how.” My life motto btw. In Frankl’s case, the “why” and the “what” are the same concept. It’s the focus on a person or a goal that is much bigger than ourselves that keeps us moving forward through the most difficult of times. The thought of our children, for example, can push us to do things we never thought we were capable of. I think what Frankl proposes so beautifully is that it’s not about what you would die for. It’s about what/who you will live for. Lara: Exactly! And what I love about his explanation is that what is meaningful to us is as unique as we are. He shared the story of the fellow prisoner whose sole purpose for staying alive was to get back to his scientific research. He had spent his life dedicated to research and all of his findings were documented back home in his journals. That meaning kept him going. For someone else, it was returning to his family as he felt his life’s purpose was to be a husband and father. Here’s the other thing Frankl is onto. We need to have purpose in our lives, no matter where we are in our lives. In fact, the sooner we determine our purpose, the better, because that is what will carry us through uncertain or challenging times. Jill: Yes! Each of us finding our purpose, our “why”, is what keeps us going. The tough thing is that it usually takes us many years into adulthood to figure out what gives our lives meaning. We play at stuff, and check things out, but very few of us settle right into lives that bring us joy and fulfillment. Lara: I totally agree with this. Imagine how much better off we would all be—and the world would be—if we all uncovered our purpose in the first half of our lives. Jill: If we could figure it out sooner, we’d have more happy people living lives on purpose. There is a great deal of suffering in the world, particularly in the US where we have so many options, around figuring out what we want to “be when we grow up”…what our ultimate “why” is. I loved that Frankl helped his fellow prisoners learn their “why” for survival through conversation and visioning of their future. And, it was a win-win for him. He helped them AND kept his research going, thereby finding his own “why”. As you said, so simple, yet so profound. Lara: It reminded me a lot of Louis Zamperini, whose story is told in the book Unbroken by Laura Hillenbrand. Zamperini was an Olympic runner who fought in WWII. His plane was shot down and he spent a mind-boggling 47 days afloat a raft in the Pacific Ocean. He was captured by the Japanese and survived three years in prison camps. Zamperini could always see himself alive and on the other side. Always. Just as Frankl could. That ability to know we have a role in this life, beyond this interruption (be it a prison camp, or a simple set back) is crucial to our ability to endure. Lara: I love that sentiment. We need to quit thinking of happiness as an end goal… I will be happy once I lose that weight/get that job/find my soul mate. Shawn Achor’s book The Happiness Advantage also dives into this concept. It’s really good stuff. Were you as surprised as I was to find that there were moments—very brief moments—of humor and art and music Frankl and the other prisoners were able to create or experience while in the camps? Jill: This actually didn’t surprise me. There is so much research that supports how art and music can be used to heal. Did you see the story going around on social media for a while about the 90-year-old man in a nursing home that had barely spoken in years, but one day when a piano arrived at the home, he started playing jazz and talking about his days in a band? I mean…amazing, right? Lara: I did see that! And was amazed. And cried and all that. I am also a firm believer that humor is essential to our health. Even in the smallest doses. I think of what a little levity can bring to a challenging work project or tense negotiation. I can only imagine the sense of hope a smile or laugh can bring to someone experiencing something as horrific as imprisonment. That said, it can’t be easy; but it’s essential to survival. I know this had to resonate with you. This is where Frankl got me. When we make the choice to do everything through love and in love…for ourselves, each other, our fellow humans, all sentient beings…what can be achieved (and endured) is remarkable. Lara: The other day I saw the coolest print. It declared Kind is the New Cool. This is exactly what Frankl and others before and after him have been saying and proving is vital to our survival as humans and a human race. We need more love, acceptance, appreciation, and respect. Lara: What I take from that quote, is that to be able to find the kindness and the humanity, we have to break down the group connect on an individual level. It’s only at that one-on-one level that we can truly break through barriers of difference and achieve common ground. Jill: Yes, it feels like something very crucial, very basic is missing in our world right now. We need human connection and kindness now, more than ever. Lara: Thanks for chatting this really important book up with me. It’s a worthy read now, and really any time. We hope you will check it out! Here’s some free advice: When you meet an author that wrote a book you love, love, loved and you ask him what book he recommends you should read next… read it… next. 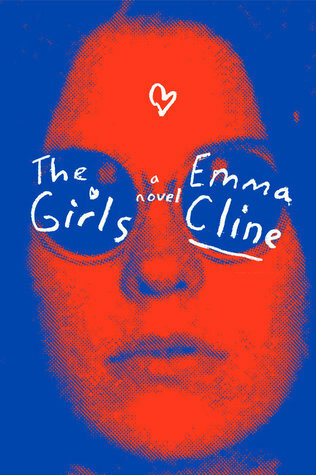 I am talking about Bill Clegg, author of last year’s NBA Finalist Did You Ever Have a Family, and the book he recommended I read, Emma Cline’s debut, The Girls. It would also be good to make sure you have six uninterrupted hours, because The Girls will pull you in about as quickly as the book’s charismatic cult leader Russell Hadrick seduces our lost and impressionable protagonist, Evie Boyd. But, I am getting a bit ahead of myself here. It’s 1969 in northern California and 14-year old Evie Boyd is bored, directionless, and seeking attention anywhere she can find it. Lazy summer days lead Evie to the park where one day she sees them. The Girls. Evie cannot take her eyes off of them, their dresses, their hair, and their utter insouciance–especially, the dark-haired girl Suzanne. Evie continues to see these strange and alluring older girls and quickly and naively assimilates with the group. Evie finds herself on a black school bus riding out to “the ranch”, the next devotee of child molester, pimp, and cult leader Russell Hadrick (picture Charles Manson). Despite the rancid property and feral inhabitants, Evie can’t get enough. For the first time in her short life, she feels like she belongs. 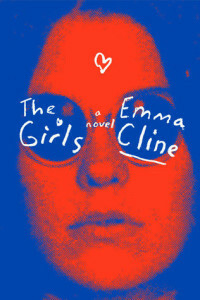 Cline does an exceptional job showcasing the vulnerability of young girls and the desperation that can lead to short-sighted choices with unimaginable consequences. The writing is exquisite, although a little heavy handed in the beginning chapters. 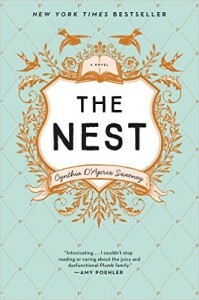 Cline quickly finds her groove and keeps you invested in this literary page turner that is likely to be the hit of the summer. This book will be published on June 14, 2016. 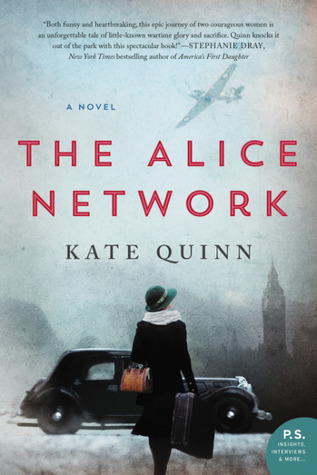 Many thanks to Random House and NetGalley.com for making this book available to read and review prior to publication.